Do you have higher than average energy bills even after taking steps to reduce your energy use? Are you constantly spending money on air conditioning repairs? Is your old air conditioner just old? If your answer to any of these questions is yes, it's time to start thinking about a new air conditioner, and if you want a dependable, top-of-the-line system, it's time to start thinking about Mitsubishi Electric ACs. Homeowners see an average energy savings of up to 40 percent over window air conditioners. At the heart of each Mitsubishi AC unit are four key components. The days of being worried about going deaf when your window air conditioner is running or not being able to enjoy an outdoor BBQ because your outside air conditioning unit is grinding away are over. Mitsubishi Electric's indoor air conditioning units are designed to be literally as quiet as a whisper at just 19 decibels. Outdoor units operate as low as 58 decibels — the same as the noise levels inside a typical office or restaurant. You no longer need to walk to the thermostat to change the temperature. In fact, you don't even have to be in the same time zone. 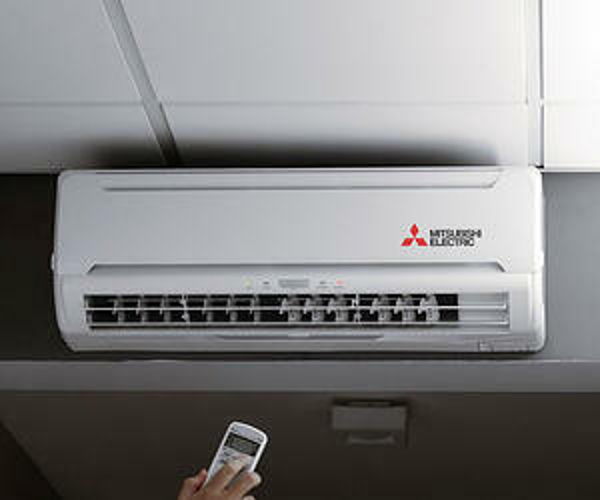 Mitsubishi Electric air conditioners offer WiFi connectivity to allow you to adjust your air conditioner's settings from any computer, smartphone, or tablet using a free app. If you don't know what time you'll be home from work or forget to turn off your air conditioner before leaving on vacation, you don't have to worry about wasting energy. In addition, Mitsubishi Electric systems offer outside air sensors that make automatic adjustments based on the outside temperature. Does your current air conditioner do that?